DHL Global Forwarding, a leading international provider of air, sea and road freight services, has appointed Usam Alyasin and Ingo-Alexander Rahn as country managers in Iraq and Turkey, respectively. Both of them will report to Amadou, chief executive officer, DHL Global Forwarding Middle East and Africa, said a statement. “This growth is further driven by a rapid adoption of new technologies among the younger and well-educated workforce that are contributing to the projected average economic growth of 2.6 per cent for 2019-2020,” he said. “I am positive that Alyasin and Rahn will drive continued growth for the company in the region, as they have proven their expertise in various roles within the organisation over the years. The wealth of experience they have gained will enable them to steer the business to greater achievements,” he added. Alyasin officially assumes role of country manager in Iraq. He has been with DHL Global Forwarding since 2011, and has played an important role in driving key customer relationships for industrial projects in his role as project operations manager. In his most recent role as general operations manager, he demonstrated a good track record, showing strong capabilities in industrial project management. He holds a Masters' Degree in Physics from Basra University, College of Science and has pursued higher education for Medical Radiation Physics, from Stockholm University. Rahn appointed as country manager to oversee operations in Turkey. 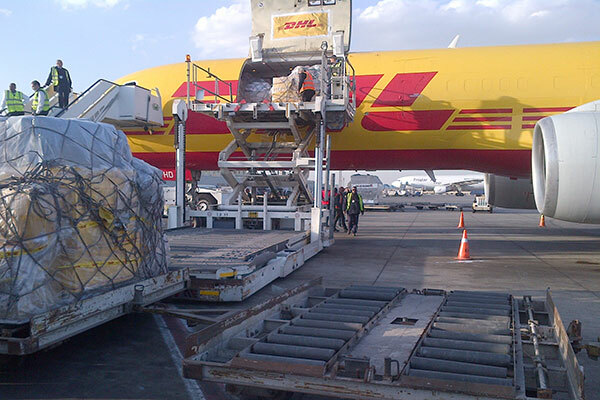 An industry veteran who has been with DHL for 17 years and with more than 25 years of experience in the industry, he first joined the business as vice president of Airfreight for DHL Danzas Air and Ocean based in Frankfurt, Germany. Most recently as executive vice president of Global Airfreight and StarBroker AG, his responsibility included global procurement, air freight strategy, product development, route management and pricing strategy including DHL's in-house carrier.